I have a simple yet super delicious dessert recipe to share with you today, and it comes straight from the new cookbook Superfoods 24/7. I plan to take a platter of these truffles to a New Year’s Eve party tomorrow, and perhaps you might want to do the same. They are so so good! 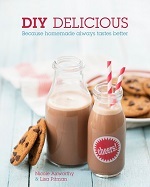 This new cookbook by my dear friend Jessica just hit shelves yesterday, and is one you will want in your kitchen if you plan to start the new year off right. 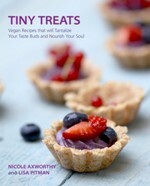 Containing more than 100 vegan recipes, the book aims to help you incorporate superfoods into your everyday meals and snacks through “typical day” superfood meal plans, superfood facts, and even some basic skills (how to make your own almond milk, egg alternatives and pumpkin puree) and then, of course, there are the recipes. For some, the word “superfoods” can be a bit intimidating because it is synonymous with exotic and expensive ingredients like maca, matcha, cacao and lucuma. 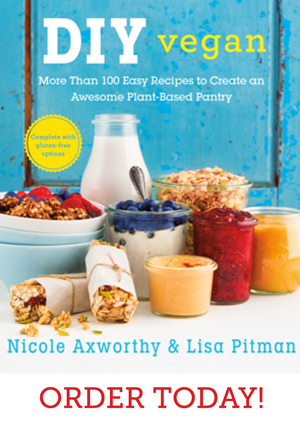 While these are fabulous ingredients with what we know to be chock-full of benefits, I love that Jess focuses mostly on familiar “superfoods” in this book—whole plants that are, well, good for you! We’re talking avocado, kale, lentils, chia, sweet potato, and all the fresh, vibrant, colourful food that we should aim to eat every single day. Jess shows you easy ways to incorporate them through recipes like warm spinach, quinoa and shiitake salad; super seedy quinoa flatbreads; sundried tomato and coconut quinoa burgers; wild rice and kale wellness bowl; lucuma almond-butter shake; and fluffy banana chia pancakes. 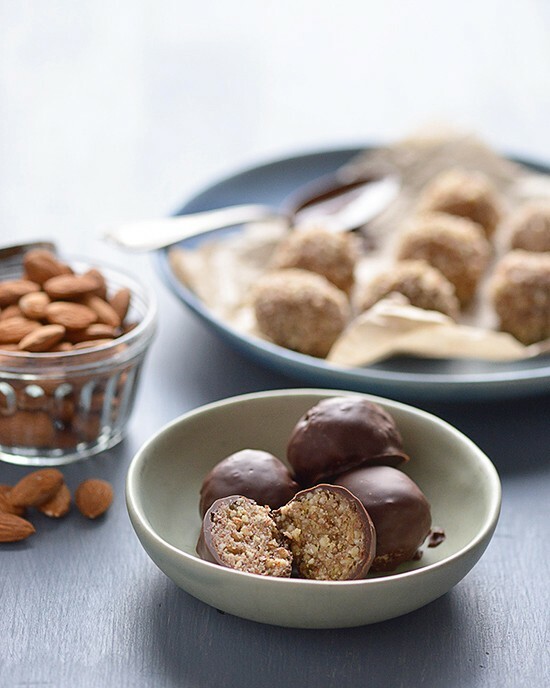 These chocolate-covered almond tahini truffles are an indulgent superfood treat, made of crunchy almonds and creamy tahini to create a sweet/salty/chocolatey explosion in your mouth. 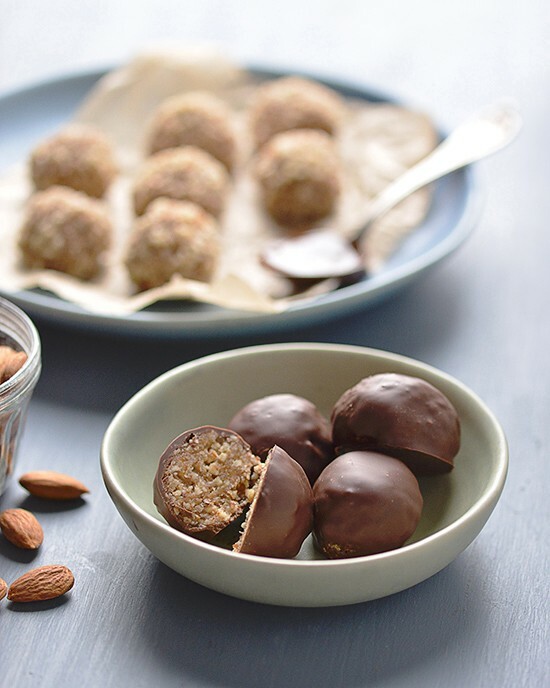 They are like an almond-flavoured Ferrero Rocher with a middle eastern flair. Like I said, they are so so good, and I can’t wait to share them with friends tomorrow. Do yourself a favour and grab a copy of this book (or enter to win a copy below! 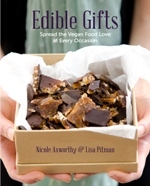 ), along with Jess’s first cookbook Greens 24/7. With both books in hand, you’ll be set for a super healthy 2016. Happy new year! Line a plate or baking sheet with parchment paper and set aside. 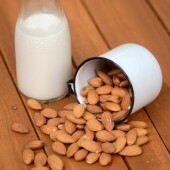 Place the almonds in a food processor and grind into a coarse flour. crumbs into the balls to make them stick. Place on the lined plate or sheet and freeze. In a small pan, melt the chocolate chips with the remaining oil and stir until smooth. 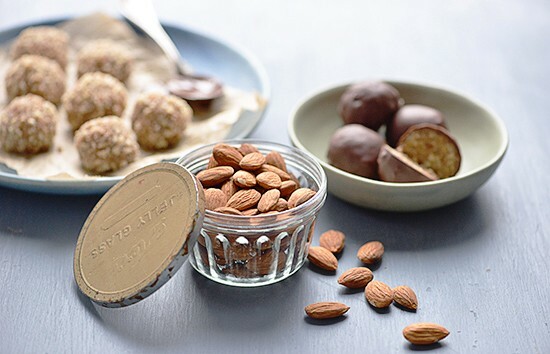 One at a time, dip each ball into the chocolate and roll it around to coat it. Return to the parchment and repeat with the remaining balls. Place in the freezer to chill until set, about 5 to 10 minutes. 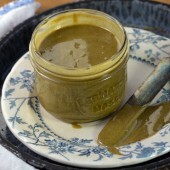 Transfer to an airtight container and store in the freezer for up to two weeks. Recipe from Superfoods 24/7: More than 100 Easy and Inspired Recipes to Enjoy the World’s Most Nutritious Foods at Every Meal, Every Day © Jessica Nadel, 2015. Reprinted by permission of the publisher, The Experiment. 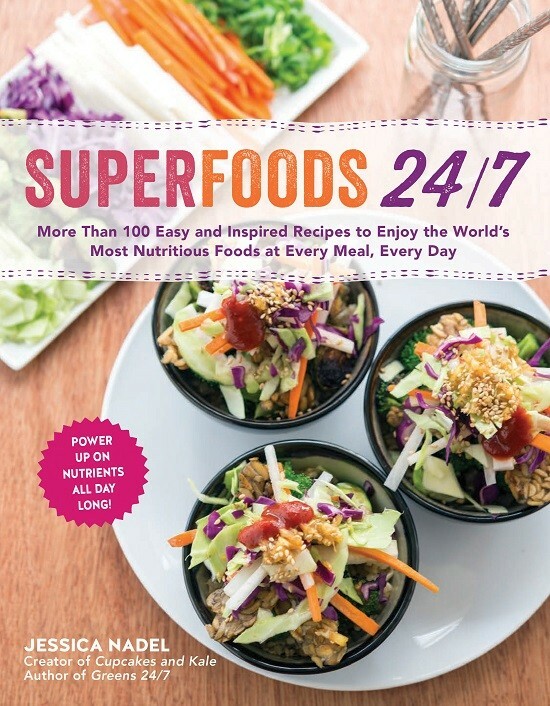 Thanks to my friends at The Experiment, I’m able to give a copy of Superfoods 24/7 to one ADC reader! The giveaway is open to residents of Canada and the US. If you’re feeling lucky, enter using the Rafflecopter widget below and I’ll choose a random winner on Wednesday, January 13. Good luck! I absolutely LOVE Greens 24/7 and can’t wait to check this one out! I love adding hemp seeds to boost protein levels with a superfood! Sweet potatoes are my favorite superfood. So simple yet delicious! Avocado: so decadent, so versatile. 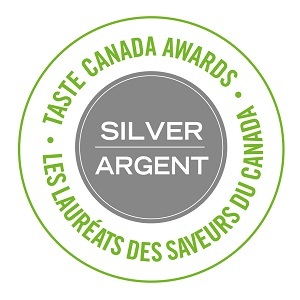 Wonderful in savory or sweet recipes! Given that the “superfood” label can be applied to so many of the foods I love, it’s really hard to pick a favorite among all my favorites! (By the way, I like that this book’s approach recognizes that all kinds of whole plants can be considered superfoods.) I’ll go for lentils: they’re so versatile, and always awesome! Is carob a superfood? Because I’ve become obsessed with carob. I like to add goji berries and hemp hearts to my smoothie bowls and I eat kale and avocado all the time! I like hemp seeds and almonds but will eat almost any nut or seed. Personally I couldn’t live without beans– so I guess I’m glad they are a superfood! Sweet potatoes for the win!